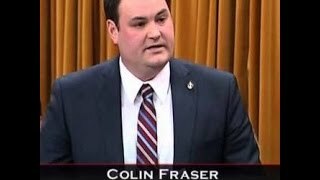 Added July 17, 2017 from Colin Fraser, M.P..
Added July 19, 2017 from Colin Fraser, M.P.. 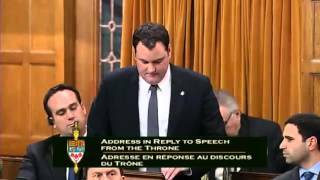 Speaking in House of Commons on CBC mini-series, "Story of Us", which omits Port Royal as the first European settlement in Canada. 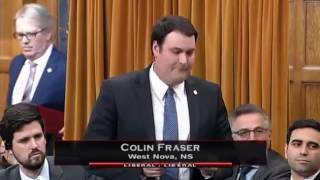 Added March 7, 2017 from Colin Fraser, M.P.. 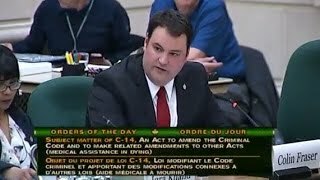 In our Veterans Affairs committee, we are currently studying Mental Health and Suicide Prevention Among Veterans. 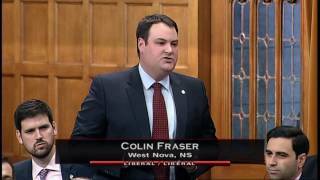 Hearing directly from veterans of their personal experiences is key. 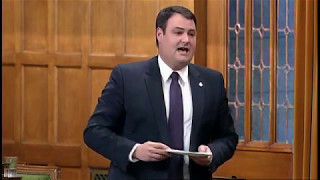 LGen(Ret.) 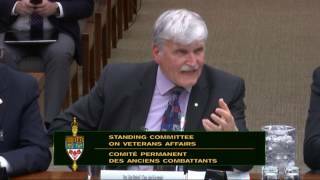 Roméo Dallaire appeared at the Veterans Affairs committee meeting yesterday and I was pleased to have the opportunity to ask him a question on this topic. 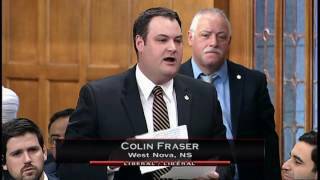 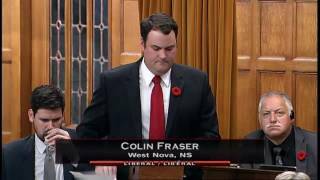 Added March 1, 2017 from Colin Fraser, M.P..
Félicitations au Courrier de la Nouvelle-Écosse sur sa 80e année de publication. 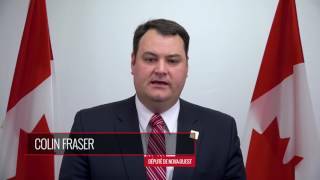 Congratulations to "Le Courrier de la Nouvelle-Écosse" newspaper on your 80th Anniversary. 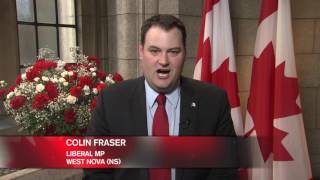 Added December 12, 2016 from Colin Fraser, M.P.. 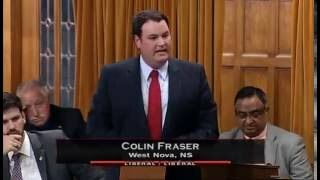 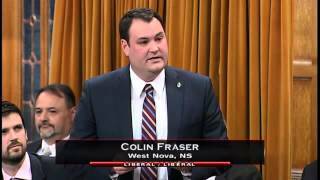 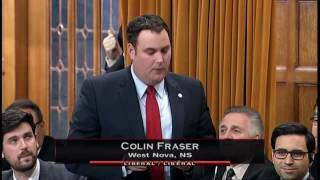 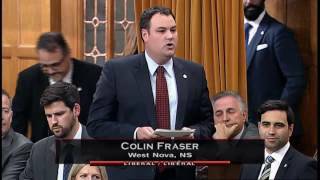 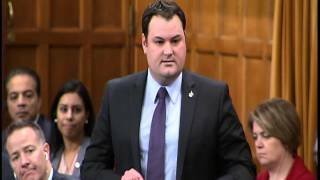 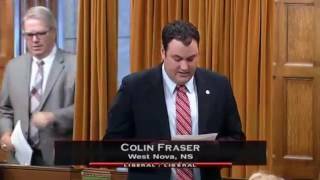 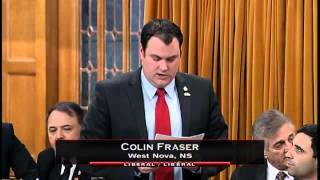 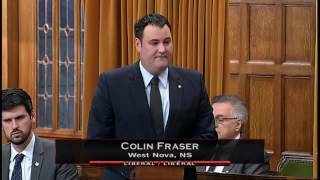 This week I was happy to rise in the House of Commons and speak about the importance of CFB 14 Wing Greenwood in West Nova and to offer warmest holiday wishes to our Forces members and their families. 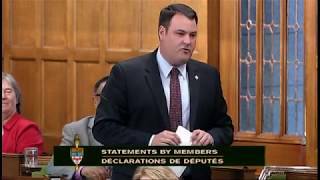 Happy to report that my Private Member's Bill to make Remembrance Day a legal holiday, has passed second reading and will now move on to be studied at the Canadian Heritage Committee. 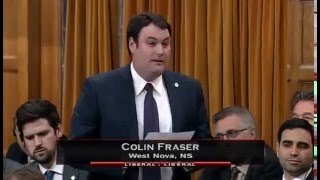 Today I had the opportunity to stand in the House of Commons and share our pride in West Nova, as we host the Canadian Mixed Curling Championship at the Mariners Center this week. 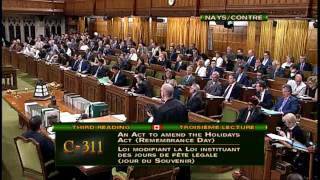 Bill C-311 seeks to amend the federal Holidays Act to make Remembrance Day a federal legal holiday, on par with Canada Day and Victoria Day. 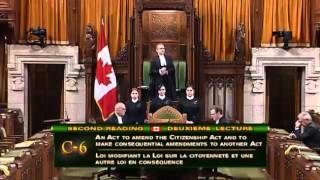 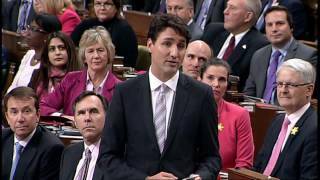 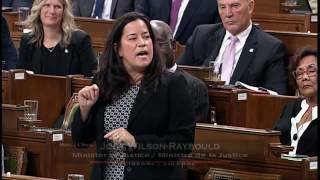 Pleased to rise in the House to ask the Minister of Justice about the appointment process for the Supreme Court of Canada.